Twitter has many popular clients but most of them are graphical. 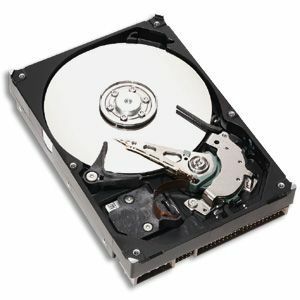 When it comes to Linux, I am sure there would be many command line freaks who would like to know about a command line alternative. 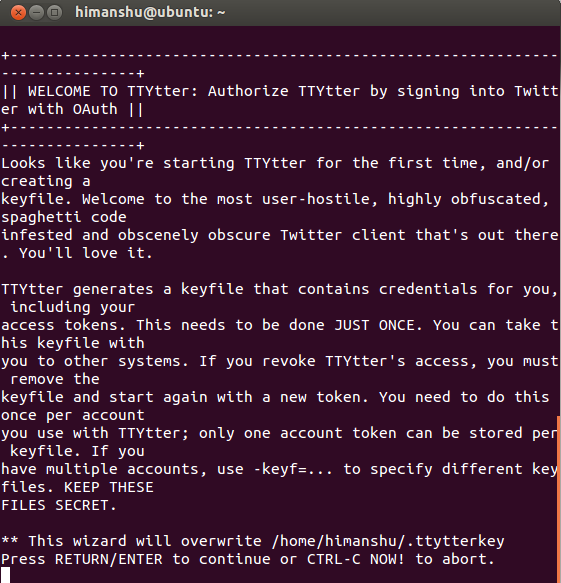 In this article, we will learn how to install and use ttytter -- one of the most popular command line Twitter clients. 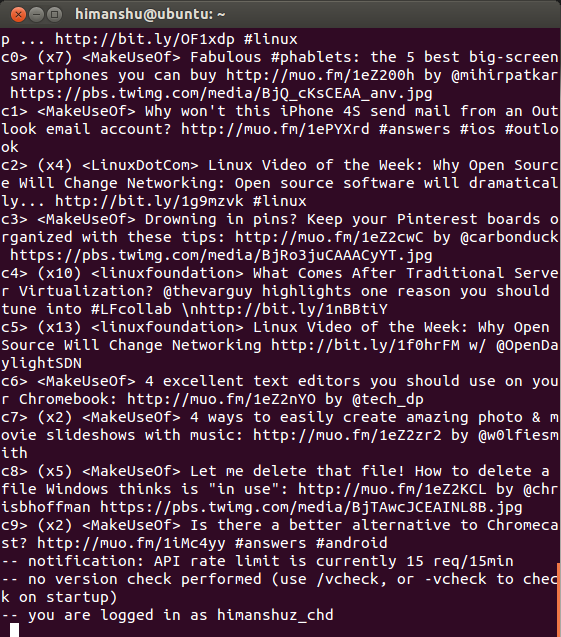 ttytter is a multi-functional, fully 100% text, Perl command line client. 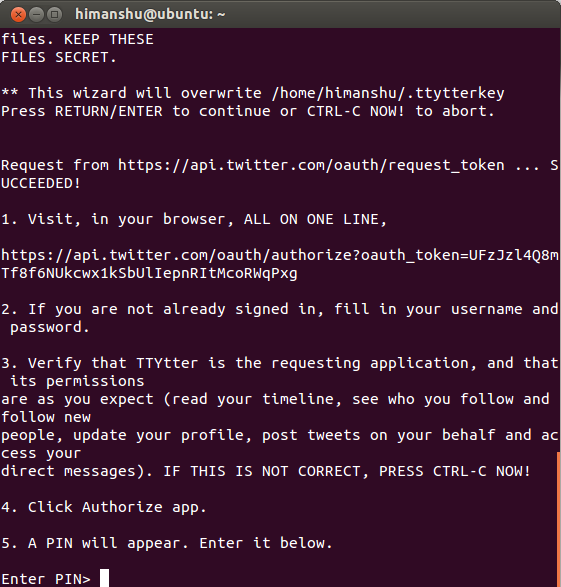 It supports Streaming API, ANSI colour, UTF-8, hashtags and Twitter Search. NOTE - I have used Ubuntu 13.10 and ttytter 2.1.00 for this article. Go to its official website and download the installation script. Make sure that you name the downloaded script as 'ttytter'. 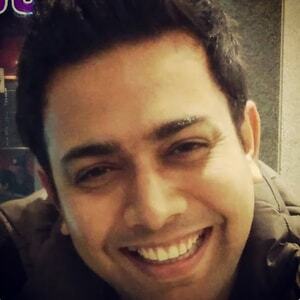 Convert it into an executable file, and place it in /usr/bin. Also make sure that you have Perl 5.8.6 or higher installed on your system. Go to the web link provided in step-1 in the above screenshot, and you'll be asked to authorize the app. Once you click the 'Authorize app' button, a PIN will appear at the same web interface. 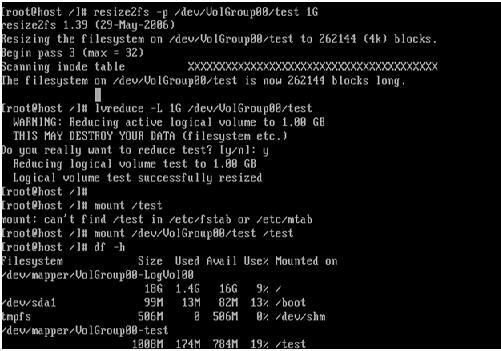 Write the same PIN at the command prompt, and the authentication process should succeed. 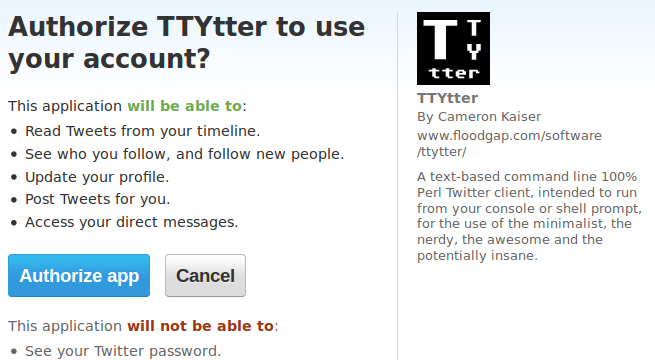 Once the first time authentication is complete, you can start accessing your Twitter account by just running the 'ttytter' command. To tweet, just write anything and hit enter. Use /refresh or /r to refresh. In the tweet shown above, 'j0' is the menu-code. For more information on the command, please visit the its FAQ page.